Hosted by Emory, the Decatur Book Festival keynote featured (from left) Atlanta Journal-Constitution Editor Kevin Riley, National Public Radio host Brooke Gladstone, Washington Post reporter Wesley Lowery and Carolyn Ryan, an editor for the New York Times. 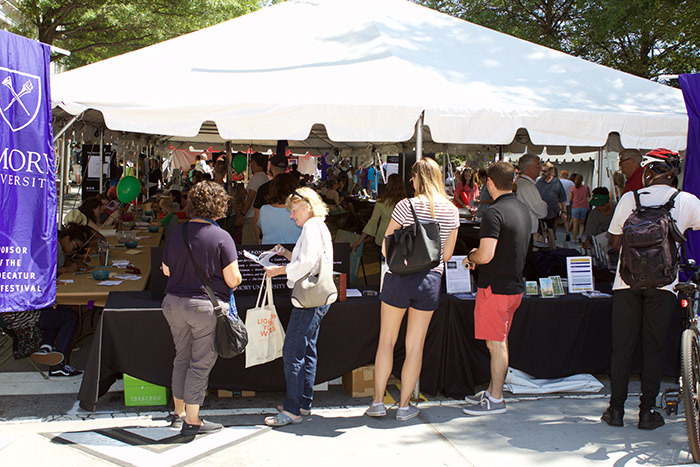 Emory's tent in downtown Decatur was busy throughout the weekend as festival attendees stopped in to meet Emory authors and learn about university events. 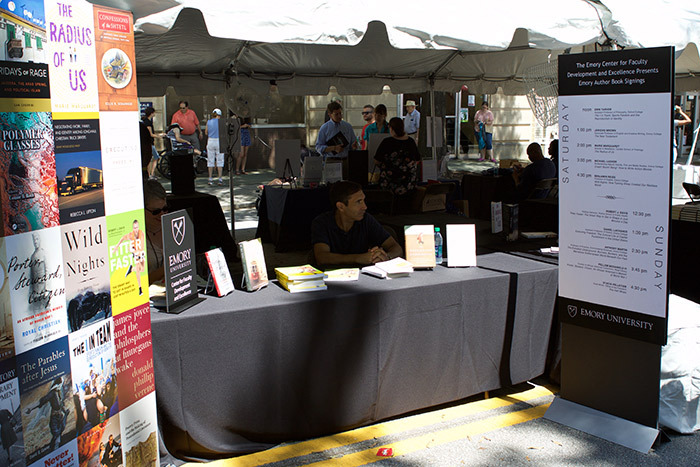 Emory's Center for Faculty Development and Excellence hosted book signings with Emory authors throughout the weekend. 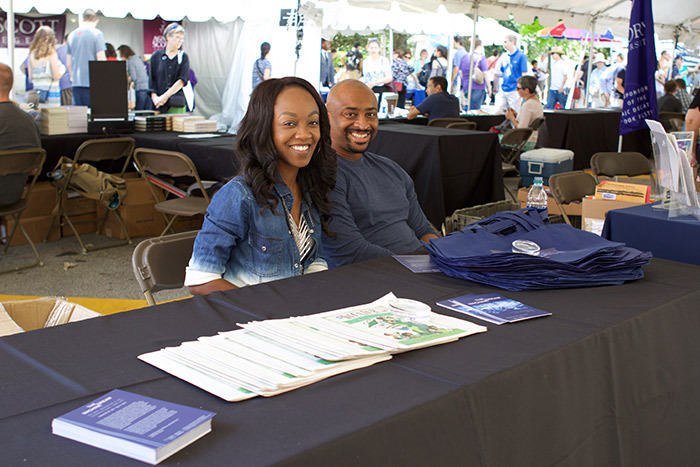 The Emory tent welcomed festival participants with information about a variety of literary and cultural resources and events on campus. 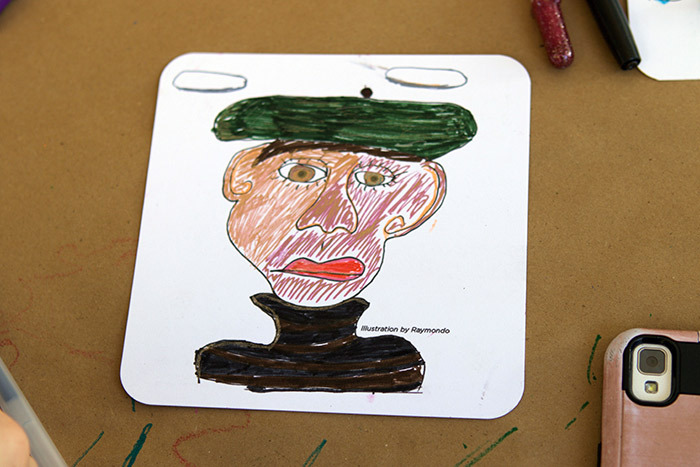 Visitors of all ages enjoyed coloring fans promoting Woodruff Library's upcoming exhibit on the Beat Generation. The exhibit, titled "Dream Machine," opens Sept. 28 in the Schatten Gallery. The fans were a great way to "keep cool" while also learning about the exhibit of these cool Beat writers, poets and artists. 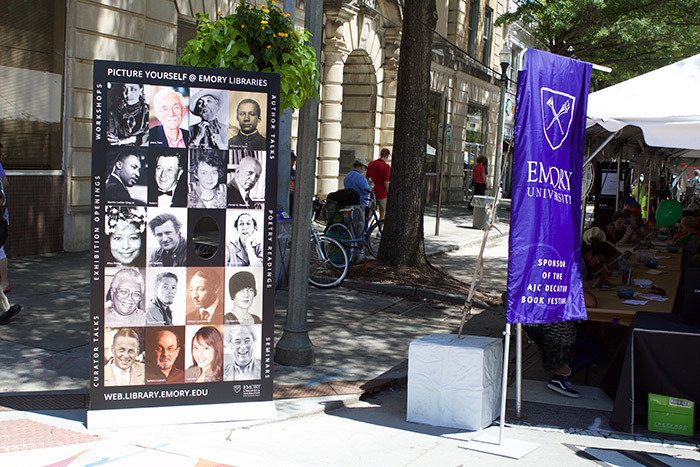 Emory has long been a major sponsor of the Decatur Book Festival, the largest independent book festival in the country. 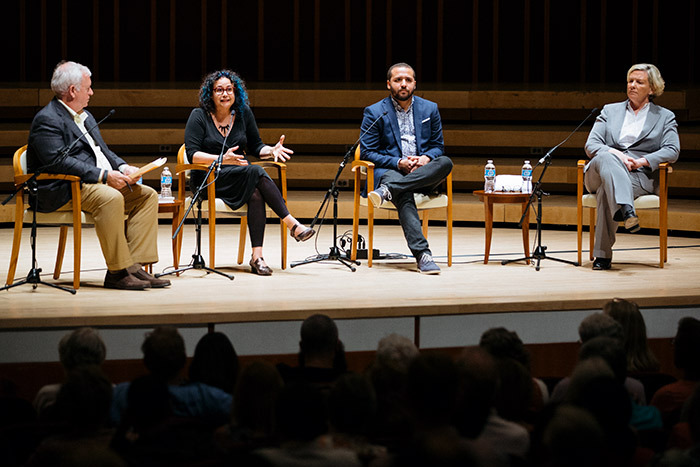 The Decatur Book Festival opened Friday, Sept. 1, at Emory's Schwartz Center for Performing Arts with a panel of renowned reporters and editors discussing "Journalism in Our Current Environment." Participants included National Public Radio host Brooke Gladstone; Carolyn Ryan, an editor with the New York Times; and Wesley Lowery, a Pulitzer Prize-winning reporter from the Washington Post. Kevin Riley, editor of the Atlanta Journal-Constitution, served as moderator. 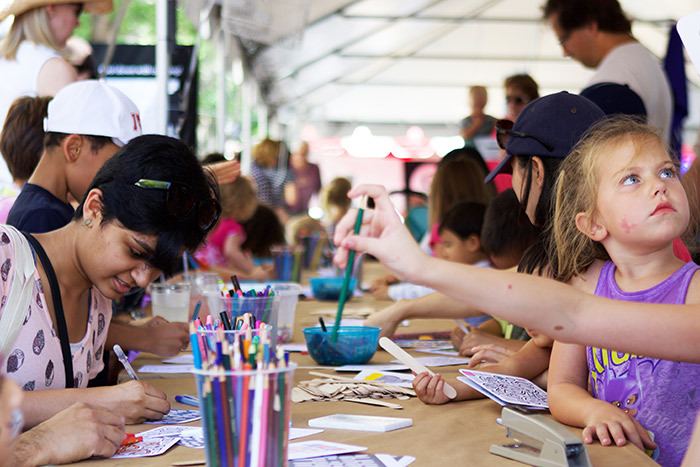 The Decatur Book Festival continued Saturday, Sept. 2, and Sunday, Sept. 3, throughout downtown Decatur. 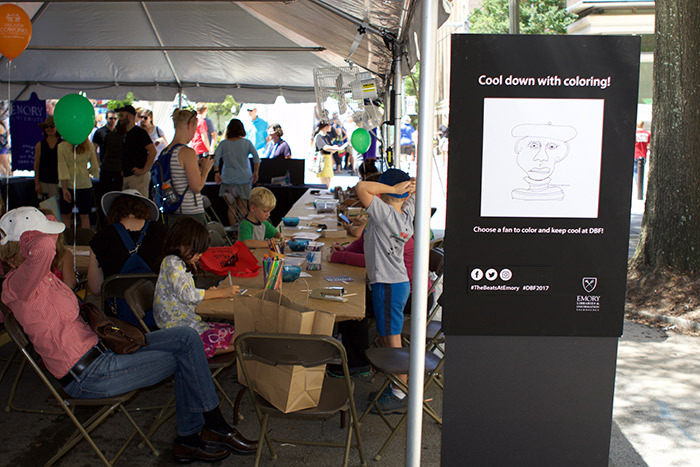 Emory's tent drew a steady stream of visitors to enjoy book-signings with Emory authors, color a fan promoting Woodruff Library's upcoming exhibit on the Beat Generation, and learn about other literary and cultural events on campus.